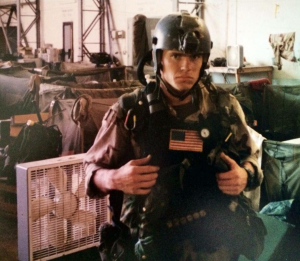 Delta Force attracted Tom Satterly because he wanted to serve with the best. It must have been a good fit – Tom served with 1st Special Forces Operational Detachment – Delta for twenty years. His struggle reintegrating into post Delta Force life led he and his wife Jen to create the All Secure Foundation in order to help other Special Forces operators and their families get access to the resources they need. Most Delta Force missions will remain classified. The public first became aware of this Tier One unit following “Operation Eagle Claw” – the plan to rescue American hostages in Tehran. The mission was aborted due to equipment and operator errors but resulted in the creation of the 160th Special Operations Aviation Unit. Tom shares his experiences on two of the assignments he can publicly acknowledge. “Operation Gothic Serpent” was the mission to capture high level associates of the Somalian Warlord Mohammed Farrah Aidid. While the objective was achieved, it turned into the 24 hour running battle depicted in the film “Blackhawk Down”. Tom confesses that sometime during the night’s battle, running low on ammunition and out of water, he resolved that he was going to die so he was going to do as much as he could before that final moment happened. Tom lost four of his fellow Delta Force operators on that mission. Tom’s squad was also involved in the successful capture of Saddam Hussein. The night before Saddam’s capture, Tom’s team captured a valuable source and the next day they found the former Iraqi leader’s hiding hole. Jen Satterly had exposure to a large number of elite warriors as a photographer/film maker attached to the Special Forces. While working to help Tom deal with his own post-traumatic stress issues, Jen found herself sharing the resources she had found with other families in similar situations. Together with Tom, she established the All Secure Foundation as a trustworthy and safe resource for Warriors and their families. They also operate a for-profit counseling path that allows anyone to purchase their programs at a low cost with the proceed going back to fund the programs for Veterans.